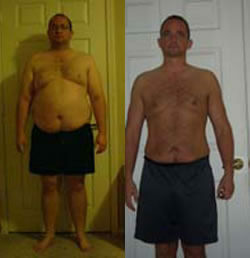 I have experienced a remarkable transformation as a result of my experience with New Results Medical Weight Loss. People I have known for years don’t even recognize me! I participated in the program with weekly visits for six months and remained fairly consistent with the weight loss the whole time. After six months, I met my goal of losing 100 pounds. Other diets I have been on have stopped working when I stopped doing it. This has provided me with the opportunity to make real and lasting lifestyle changes and provided assistance when I had a rough week, fell off, or cheated. Also, with other diets, I usually got bored or hit a plateau that gave me an excuse to quit. This experience gave me consistent results, so long as I followed the plan. And I got to make and shop for my own food, no processed, prepackaged foods! The appetite suppressant they give doesn’t make me feel like I am taking speed, which was a big concern for me as I don’t tolerate stimulants well. The staff is friendly and encouraging and they provided, coaching, support and education through the whole process. I recommend New Results Medical Weight Loss to anyone who asks and everyone is asking because I look so good!